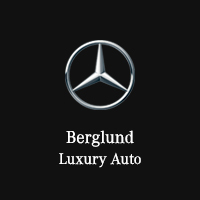 Why Buy From Berglund Luxury Auto? The car buying process can be frustrating. Between limited selection, high prices, and a pushy sales staff, it can be difficult to find the vehicle you are looking for. Luckily, for drivers in Lynchburg, Virginia, Mercedes-Benz of Lynchburg is making the car buying process easier than ever. If you are in the market for a new or used luxury vehicle, look no further than Mercedes-Benz of Lynchburg. While some dealerships may only carry one or two high-quality luxury cars, at Mercedes-Benz of Lynchburg we specialize in them. We carry all of the most popular and luxurious Mercedes-Benz models. From the legendary C-class to the top of the line GLE, Mercedes-Benz of Lynchburg has you covered. If you are interested in a new Mercedes-Benz your decision is simple: Shop with Mercedes-Benz of Lynchburg. At Mercedes-Benz of Lynchburg, we pride ourselves on keeping our pre-owned inventory stocked full of all your favorite makes and models. In addition to used Mercedes-Benz, we carry popular makes like Land Rover, INFINITI, and BMW. If you are in the market for a high-class pre-owned vehicle, then Mercedes-Benz of Lynchburg is the place for you. If you’re thinking about upgrading your current car, check out our inventory online. If you have any questions before you visit, contact us online and we’ll be happy to assist you. If you’re tired of being mistreated by other dealerships, start shopping with Mercedes-Benz of Lynchburg. Our entire team from the service center to the sales associates and finance experts are all working toward helping you. What separates Mercedes-Benz of Lynchburg from other dealerships is our commitment to the customer. From the first time you step on our lot you will feel like you are being taken care of. Now that you have found a dealership with an amazing selection and high-quality service, it’s time to make sure you get a great buy. At Mercedes-Benz of Lynchburg, we offer incredible specials on all new and pre-owned vehicles, rock-bottom finance rates, and very competitive leasing options. Our goal is for you to drive off the lot knowing you got your dream car for an incredible price. Once you’ve bought the car of your dreams, we can help you keep it running new no matter how many miles you rack up on trips. Our full-service & repair center can handle all of your vehicle needs. From regularly scheduled maintenance like oil changes and tire rotations to any little surprises life throws at you on the road, we have you covered. If you’re thinking about making an upgrade on your vehicle, come see the team at Mercedes-Benz of Lynchburg. We are conveniently located at 2643 Lakeside Drive, Lynchburg, VA 24501.